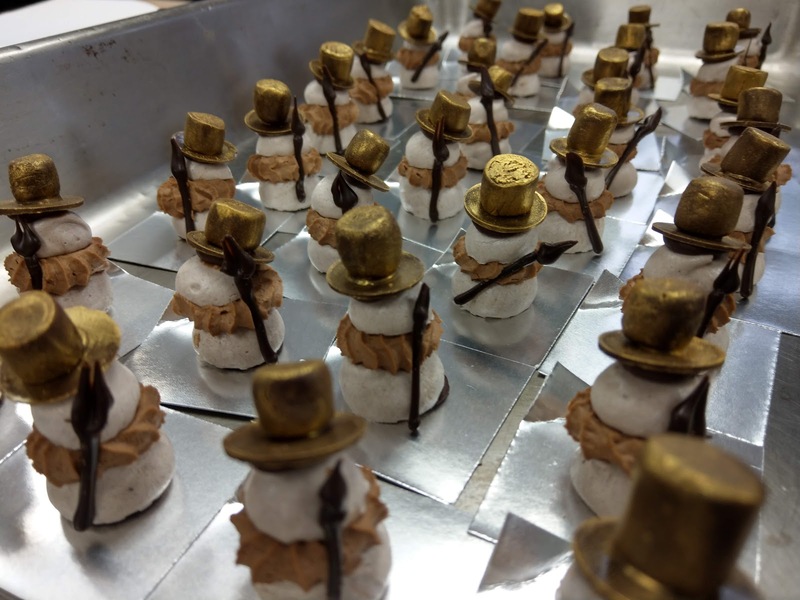 The NorthWest Chocolate Festival is this week end, we presented chocolate Snow Men made with chocolate meringue, here is the full recipe. 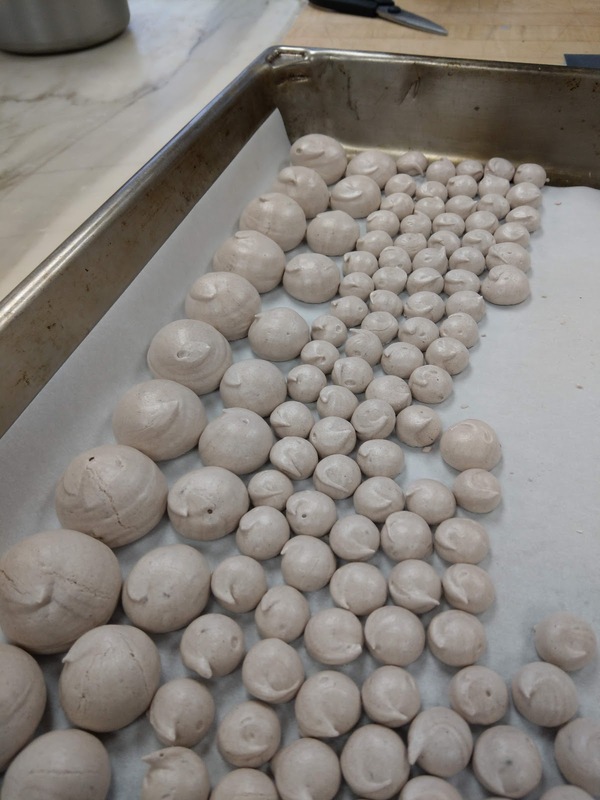 For the meringue you need 100gr egg whites, 100gr sugar, 95gr powder sugar and 5gr cacao powder. -Whip together the whites and the 100gr of sugar to stiff peak. -Fold the cacao poder and powder sugar into the initial mix (this works best if the powders are sifted. -Pipe on parchment paper an equal number of large and small demi spheres. -Bake in a 180°F oven for 12 hours. For the ganache you will need 80gr of chocolate (around 60%) and 80gr of heavy cream. -Place the chocolate cut in small pieces into a bowl. -Gently stir the chocolate and cream mixture together until homogeneous. For the chocolate whipped cream you will need 100gr heavy cream and 30gr chocolate (any type of chocolate will work including milk, and white). -Place the chocolate in small pieces into a bowl. -Pour the boiling cream over, the chocolate, mix together, and refrigerate overnight. Use a large demi sphere, and pipe a small nugget of ganache. Whip the chocolate whipped cream until light (watch out this can get over-whipped). Pipe a rosette of chocolate whipped cream over the ganache, and fasten a small meringue on the top of it. Add decor as you wish.